Hello guys, welcome back to my website. 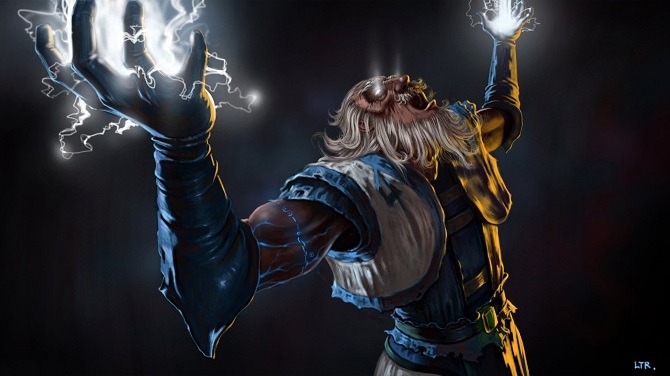 Today I want to share about one of the strongest and annoying heroes in DOta 2, Zeus The God Of Olympus. Zeus as one of the most feared gods in Olympus gets expelled by his wife to the mortal world. Do you know why? Curious about his story to claim back his throne? Well, check out my article today about the story of Zeus as the lord of Olympus. 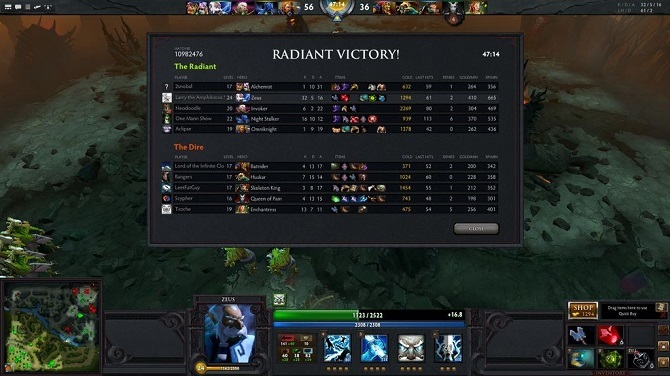 Every player in Dota must agree if I say Zeus is the most annoying hero whether he’s an enemy or a friend. His ability to do lethal skill and area of damage skills especially with his passive and his new Aghanim Scepter upgrade. This makes him as the most feared and targeted enemy when he’s on the battlefield. However, aside from all his greatness and power, he also has shameful past. Curious to know his story and why he can also take a part in the endless battle? Here is the lore of Zeus for you. Zeus, the lord of heaven, father of gods. He treat all the heroes as if they are his rebelious child. After being caught countless time with mortal woman in the midst of tyrsts, his divine wife angry and finally give him an ultimatum. “If you love mortal so much, go and become one of them. If you can prove your self is faithful, the return to me as my immortal husband or the otherwise go and die among your creatures.”Zeus who feel the wraith of his wife found her words and her magic irrefutable, and agreed to her plan. He has been in his best after that, being somewhat more energic to prove to his wife he is worth by claiming so many vicotrious in battle. As you can read the story of his fallen. He gets banished from the heaven by his wife and to get back to the throne he needs to prove he’s worth. However, do you know how to play Zeus correctly without being a burden to your team? As I said before Zeus is really become a nightmare for enemies team, his ability to do high damage or also known as Nuke can be so lethal for enemies team. However, if you don’t know how to play this hero you will just slow down your team item progress. So, I will try to give you about Zeus gameplay. In the first minute, Zeus job is to hold creeps and gain gold as much as he can. While also helping your team if needed. Don’t forget to deward enemies ward in your high ground. Do some gank, This hero capability to do high damage and doing global skill make this hero really annoying. It’s like you have nowhere to hide from him. Help support to deward, Zeus 2nd skill and his passive become his advantage to deward enemies ward. Hey, you become very useful for this. Remember to keep some distance from your enemies. Zeus is a squishy hero so he doesn’t have any survival ability to use in battle. That’s why Zeus need more extra attention when you play it. Well, I think my information today about Zeus the god of Olympus is enough. I hope this article can help you to raise your MMR points. If you find this article useful for you or your friends, please share this article with them. See you on the other day guys, thanks for reading. Face up to your mortality!